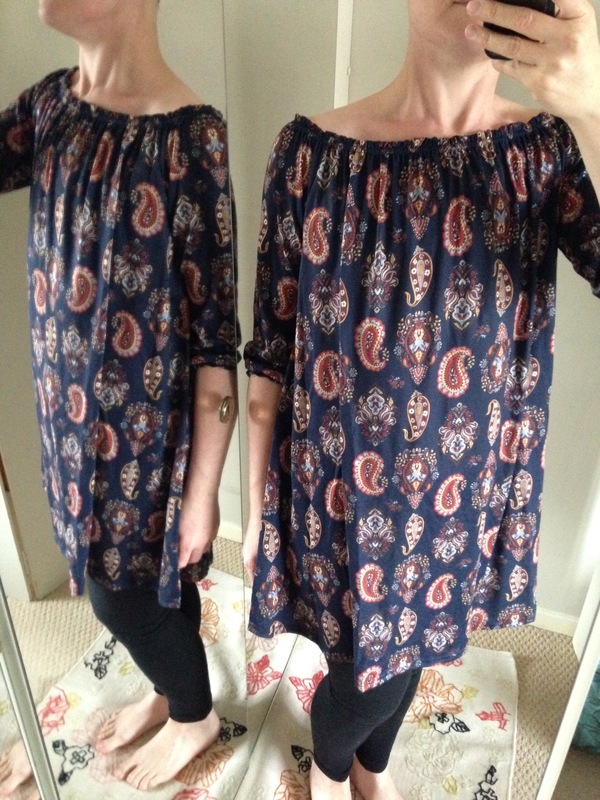 I had never ordered from Simply Be before; all of the items I am wearing in these photos were size 12 (I am a size 10 generally) and seemed quite generous. 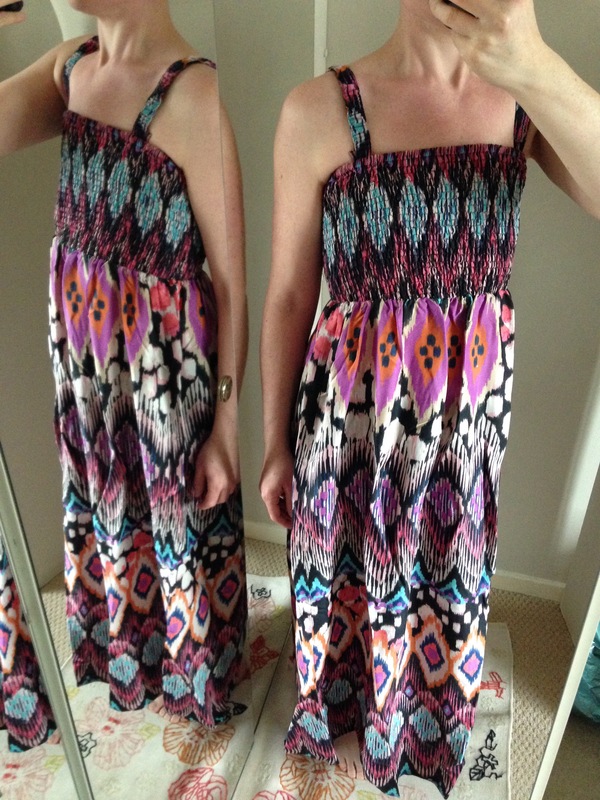 For post mastectomy swimwear from Simply Be please check out my swimming and beach posts. 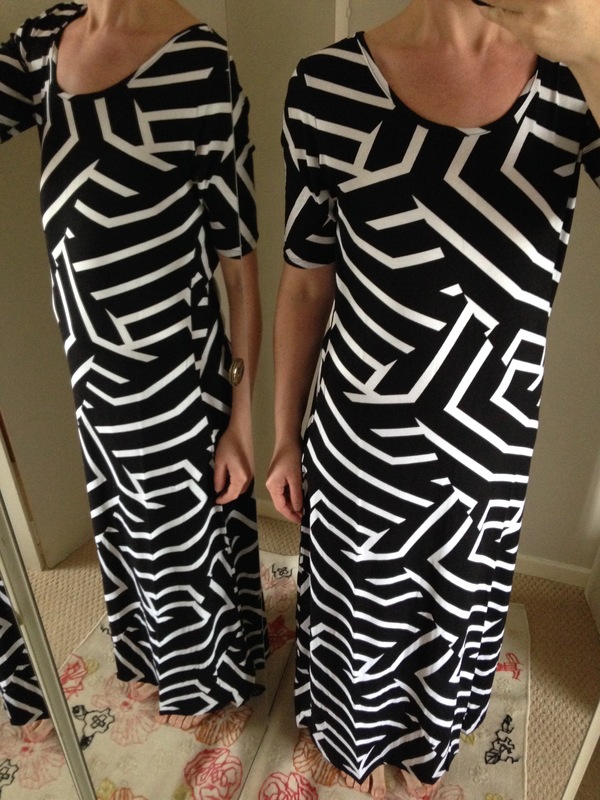 Verdict: The geometric pattern creates a great optical illusion across the chest; this dress is also really comfortable to wear, is flattering over the tomach and hips and is made from soft jersey fabric. Avaialble in other patterns. 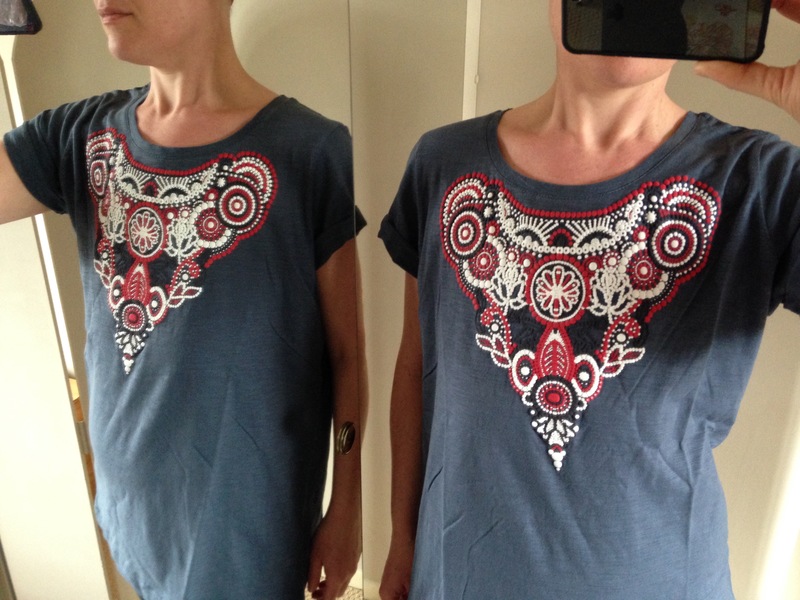 Verdict: Versatile cotton top with foam applique decoration across the chest to add shape. Verdict: Super soft jersey fabric, bold pattern and A-line fit all suit a no reconstruction chest. 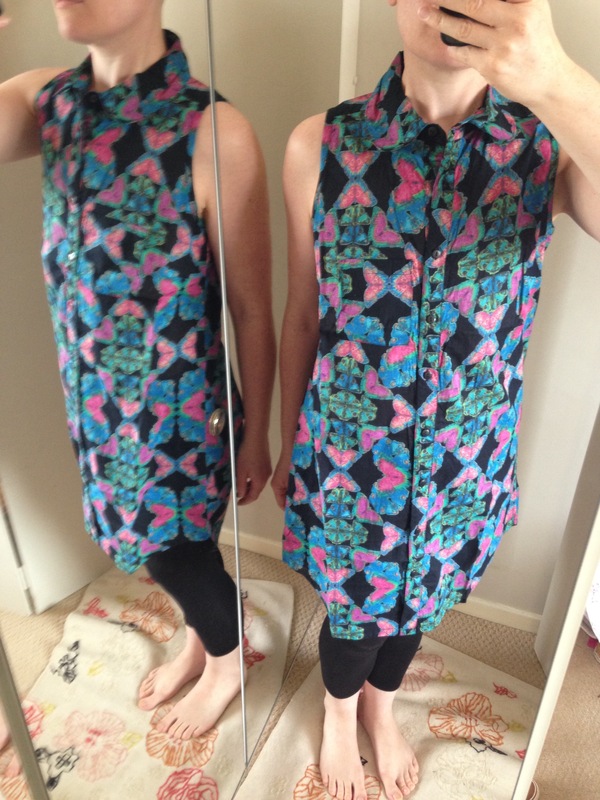 Verdict: I really liked this top but it was just too big for me. 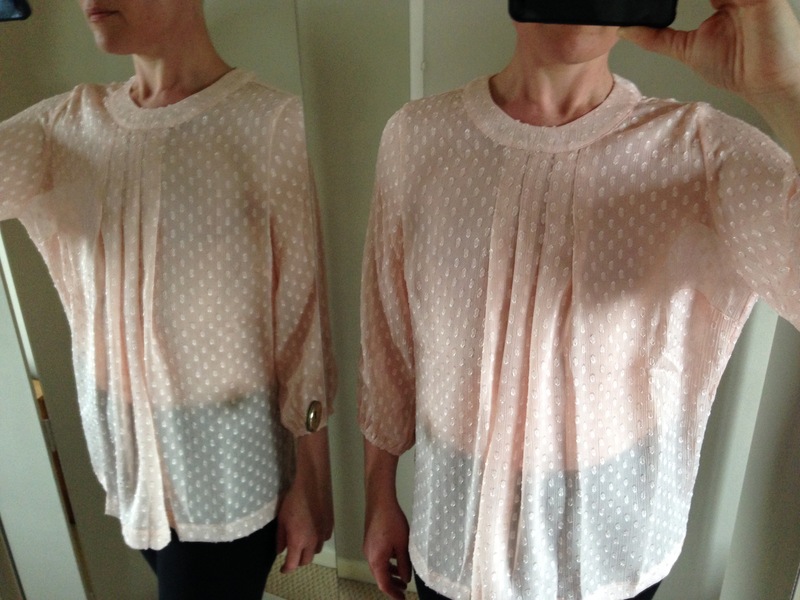 Pretty fabric (slightly see-through but would also look nice with a vest underneath), flattering floaty shape and nice pleated detail at the neckline to add movement and depth. 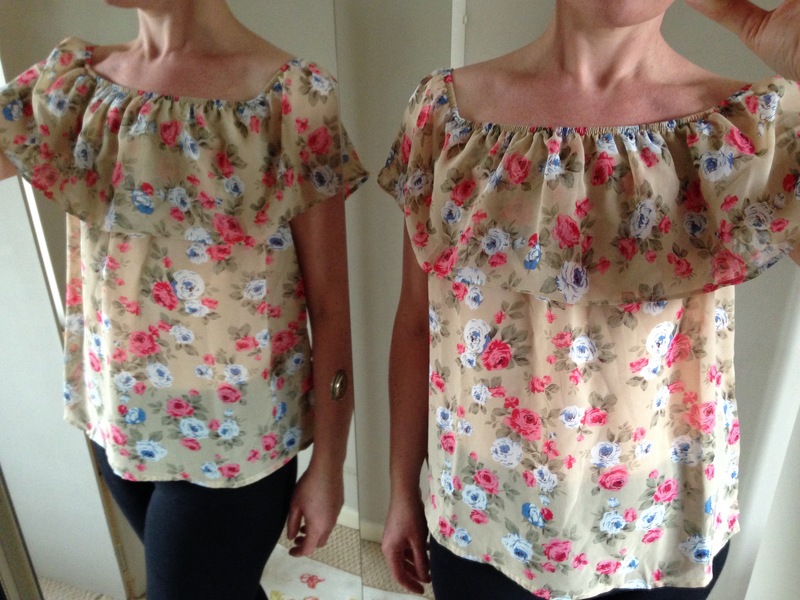 Verdict: The fabric is see-through, however the extra layer of frill across the chest should protect your modesty! 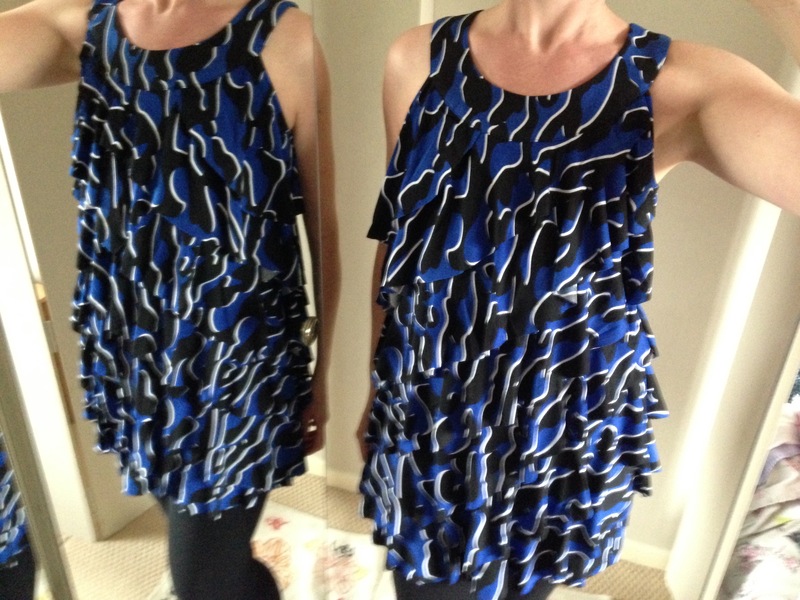 Verdict: Very flattering A-Line dress with elasticated neckline to add depth and movement. Verdict: Perfect top/dress if you want to completely cover up as the ruffles add lots of depth to the chest and hide any sign of a tummy! 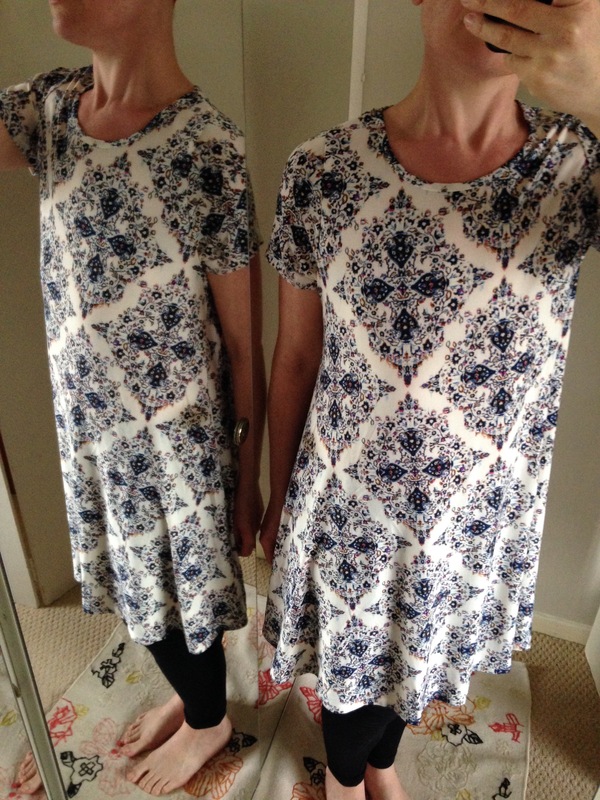 Verdict: Flattering shape; this pattern suits a flat chest well, but there are other patterns available.